After a long hiatus and inactivity, WKTEP is back on the blog. 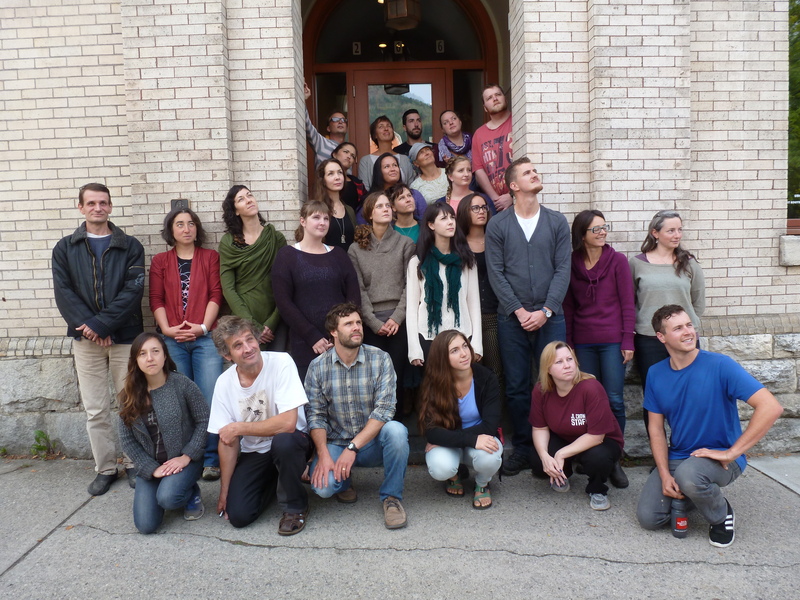 Here is the new cohort – bigger and better than ever! Day one was great and we’re looking forward to an exciting first week. Welcome to the WKTEP 2016-17 Cohort! 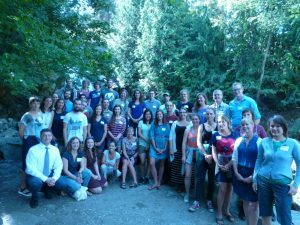 On August 29th, the new 2016-17 cohort of the West Kootenay Teacher Education Program gathered to begin their year long journey together. This is the largest group in many years with 37 teacher candidates led by WKTEP Academic Advisor Leyton Schnellert. WKTEP’s Elementary teacher candidates spent the day snowshoeing on the Nancy Greene Summit near Rossland yesterday. As part of their elementary science and social studies class, the group explored ways to create rich learning experiences with students in winter’s outdoor classroom. A group of nine teacher candidates from UBC’s West Kootenay Teacher Education Program braved the long drive to attend the Faculty of Education’s annual Job Fair on Friday, January 22. Despite recent winter weather, the roads to Vancouver were quite manageable as the group drove down on the day before so they could get an early start at the event. 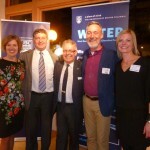 They were able to make connections with a wide range of school districts in B.C. 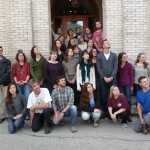 and Western Canada, as well as with a number of international organizations. 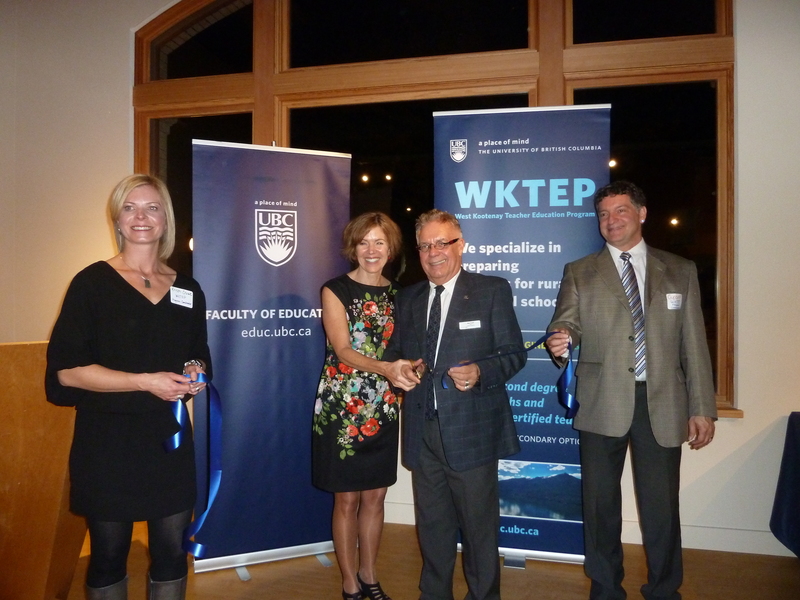 UBC’s West Kootenay Teacher Education Program (WKTEP) is a cohort-based BEd program located in Nelson, BC. 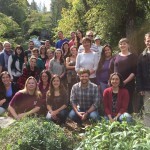 It provides elementary and secondary teacher candidates with the opportunity to develop the professional qualities and practices for teaching in today’s complex learning environments with a strong focus on rural and small school settings, recognizing that they offer exciting and unique educational opportunities for teachers. WKTEP emphasizes place-conscious learning with strong ties to local communities and school districts (Kootenay Lake, Boundary, Kootenay-Columbia, Arrow Lakes). 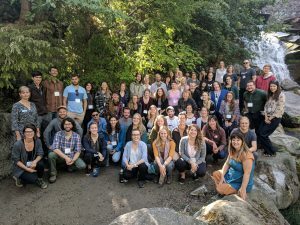 This theme is woven throughout the program as teacher candidates connect with their local surroundings and explore/create opportunities for their students to do the same. Whether it is a winter recreation and safety workshop high in the Monashee Mountains, an overnight camping trip at Kokanee Creek Provincial Park to explore wildlife habitat, or a visit to a traditional pit house to better understand Aboriginal ways of knowing with a local elder, WKTEP’s teacher candidates have many opportunities to connect with and experience the communities and cultures that surround them. 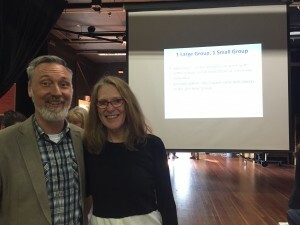 Teacher candidates undertake courses in both on-campus and in-school settings exploring leading edge theory-practice connections. The instructional team supports teacher candidates to develop capacity as leaders in addition to competencies such as critical and creative thinking, communication, and personal and social awareness and responsibility. They spend two days per week in their practicum schools throughout the year, in addition to an extended practicum. School placements are personalized for each teacher candidate, and courses are taught in an integrated manner to facilitate a cohesive and supportive learning experience. WKTEP’s Elementary Teacher Candidates spent the morning exploring our local watershed as part of the science and social studies methodology course (EDCP 331/349). Led by WKTEP instructor, Monica Nissen, the teacher candidates explored the water quality of a local creek in Nelson as a springboard to beginning their own water related inquiry. The WKTEP teacher candidates had the opportunity to join teachers in School District No. 10 (Arrow Lakes) on Friday, Oct. 16th to explore models of co-teaching and co-planning with Faye Brownlie and Leyton Schnellert. It was a fabulous day filled with lots of deep learning conversations. A big thank you to Terry Taylor and SD 10 for inviting us to be part of such an amazing day. 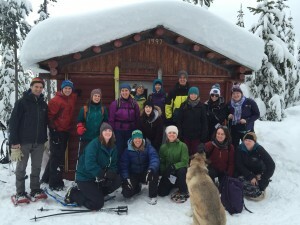 WKTEP’s elementary teacher candidates spent a day and half at Kokanee Creek Provincial Park as part of their science and social studies methodology course. 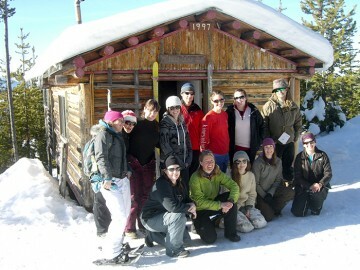 Together with local environmental educator, Monica Nissen, the group explored place-based and experiential learning opportunities in the outdoors. 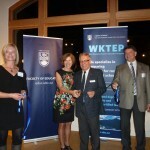 The new UBC-WKTEP space at #1 – 266 Baker Street in Nelson was officially opened in style on September 24, 2015. 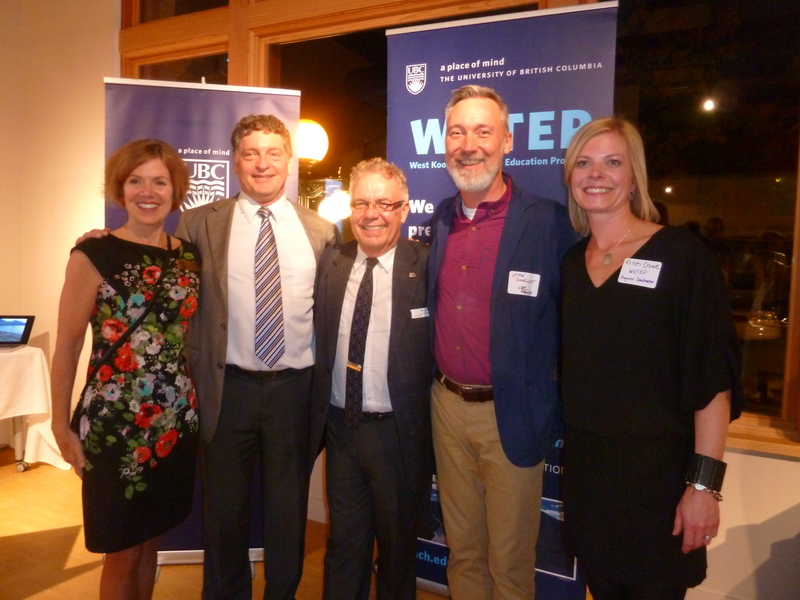 Many local community guests joined us for this event as well as University of British Columbia Dean of Education, Dr. Blye Frank, Associate Dean of Teacher Education, Dr. Wendy Carr, and WKTEP Academic Advisor from UBC-Okanagan, Dr. Leyton Schnellert. 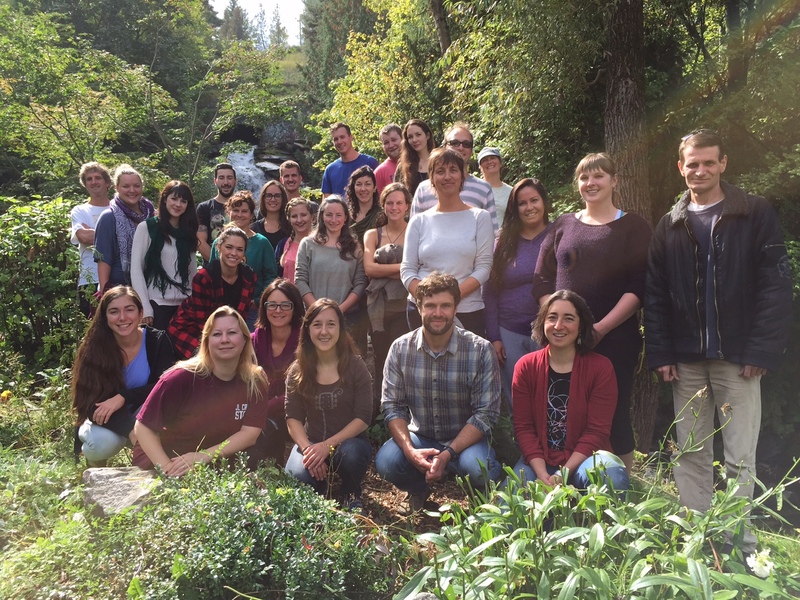 A warm welcome to our new cohort of UBC-WKTEP teacher candidates for 2015-16. They have already had two weeks of classes in our new downtown Nelson learning centre and have helped make it a vibrant and welcoming learning environment. We’re looking forward to the year ahead.